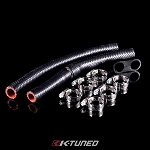 K-Tuned has made some improvements to our popular Driver Side Rad Hoses for K-swaps. After seeing some copies of our original design, we were motivated to bring something new to the table. 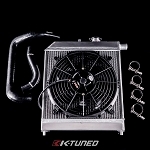 Our lower hose has been redesigned with a built in port to hold an optional bung for an OEM rad fan switch. 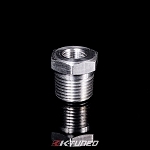 This optional port was added so that you no longer need to cut into the hose to install a bulky and ugly aluminum adapter. If you donÍt plan to use a fan switch in the hose location, the included plug will seal the port easily. The plug can also be drilled and tapped for aux. coolant sensors if desired. Note that we still recommend installing the single wire coolant temp gauge sensor in the upper rad hose location. 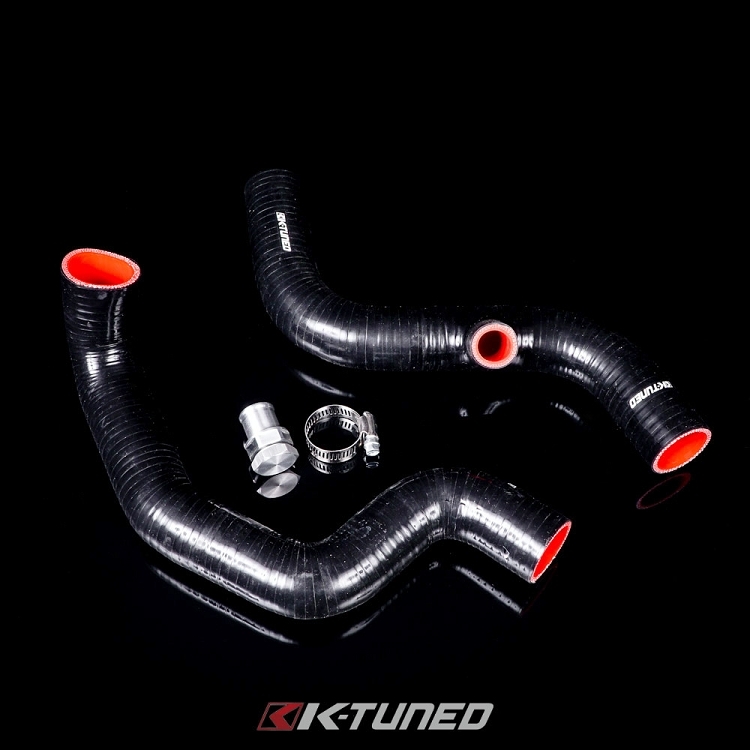 Made from high quality 4-ply silicone, these are designed to work with most 92-00 half size radiators that are relocated to the driver side of the engine bay. 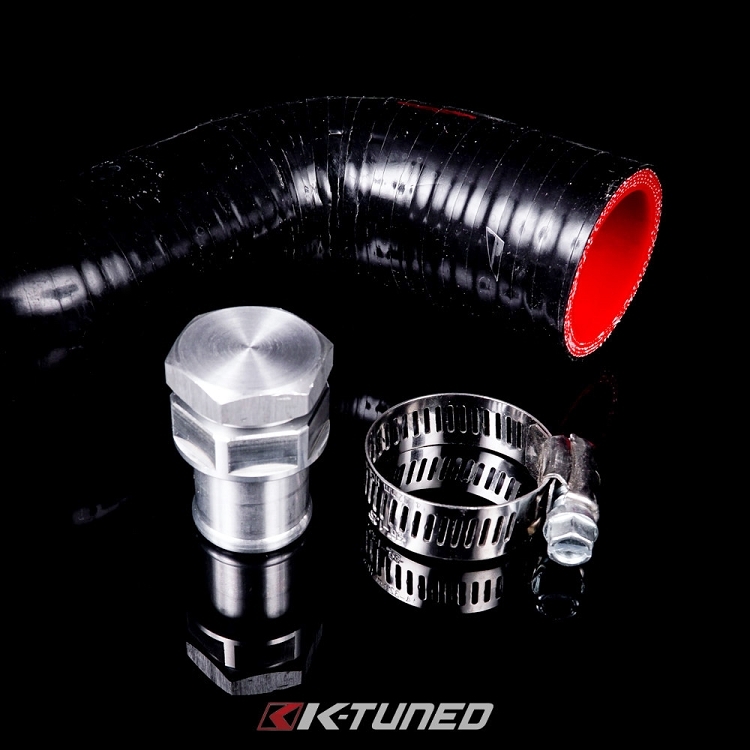 These will work with all PRB, PRC and RBC/RRC intake manifolds. 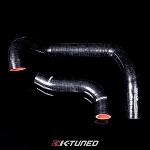 No more installation headaches or messing around with universal hoses. 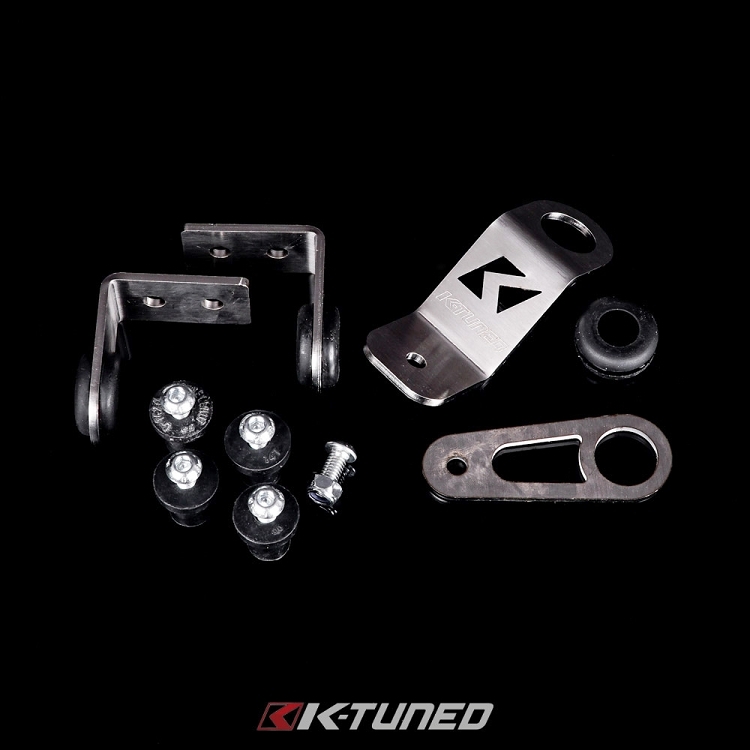 You can include bolt-on radiator brackets to make things even easier make sure it all fits perfectly.